Sparkle Pony wants to do something fun with Ballet Cat like making crafts, playing checkers, or selling lemonade. But Ballet Cat wants to dance with her horse friend, just like they do every day. However, Sparkle Pony has a secret; a deep, dark secret; a totally SECRET secret. It is a secret that could potentially destroy their friendship. Will Sparkle Pony find the courage to reveal the truth? 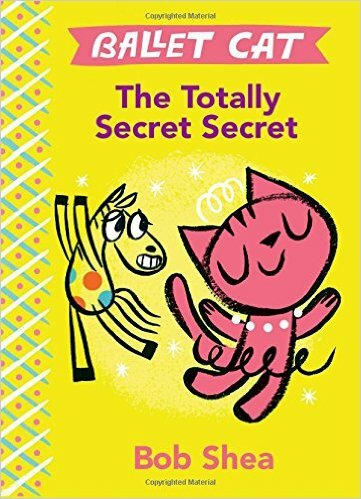 Find out when you read Ballet Cat: The Totally Secret Secret by Bob Shea.